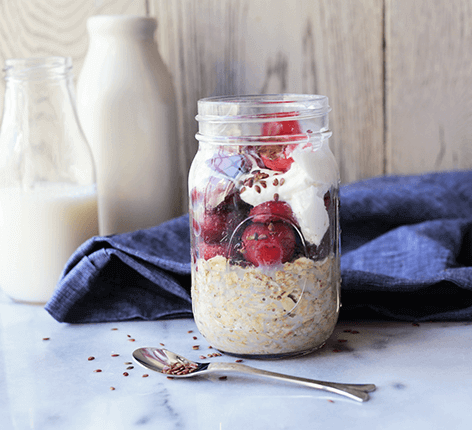 Add Quaker® Whole Oats to your container of choice and pour in milk. Alternate between layers of pitted cherries and layers of low-fat yogurt. Add a layer of pitted cherries. Top off with cinnamon and flax seeds. Place in fridge and enjoy in the morning or a few hours later!